Get 5 Magazines for Just $18.95 Year! 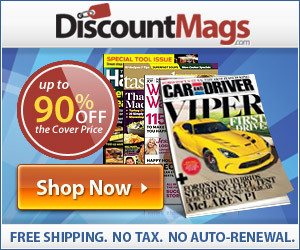 Large selection of magazines – and for less than $4 each for a year you really can’t pass this deal by! Ebates – How Does It Work To Save You Money? 2 High Value Coupons: Cost Plus & Stride Rite!